The Safety Data Sheet (SDS) Management System has many innovative features such as a google-like search system as well as features designed specifically for Academia such as school board specific tags and support for banned and restricted chemicals. Canada SDS is the only solution with a staff and student specific smartphone app which can proactively push safety information specific to the classes and courses they take as well as safety videos and instructions for equipment they use. Quickly and easily track inventory levels of products and equipment as well as receive low inventory alerts. With an innovative approach to health & safety training, education, and accident prevention, CanadaSDS helps academic institutions and school boards be proactive in addressing accident prevention by identifying chemical hazards, equipment, tools, and products in schools or campuses and automatically providing relevant safety related information to staff and students. Students can view SDS’s related to their courses as well as safety videos and instructions for equipment they use. Provide users with a familiar Google-like search experience. No need to search individual fields seperately. Create school board specific tags (e.g. Maintenance, Science) allowing users to quickly and easily filter down searches. Don’t just show users a PDF, show them a customized view with only the important sections they need displayed. Show precautionary notes for restricted products and notify users when they are searching for banned products. Track “off the shelf” purchases and inventory levels of products & equipment. Feel free to get in touch with us to find out more about CanadaSDS and our unique safety data management platform designed specifically for Academia and School Boards. CanadaSDS's innovative safety data management system is used by a number of school boards including the Toronto District School Board (TDSB) which awarded CanadaSDS the contract to provide over 41,000 employees and 246,000 students in 584 schools with access to our unique safety data management system. CanadaSDS believes that one size does not fit all. Launched in 2016, CanadaSDS was created by listening to the needs of industry in demanding more health & safety tools and applications to increase worker safety and minimize worker risk in the workplace. 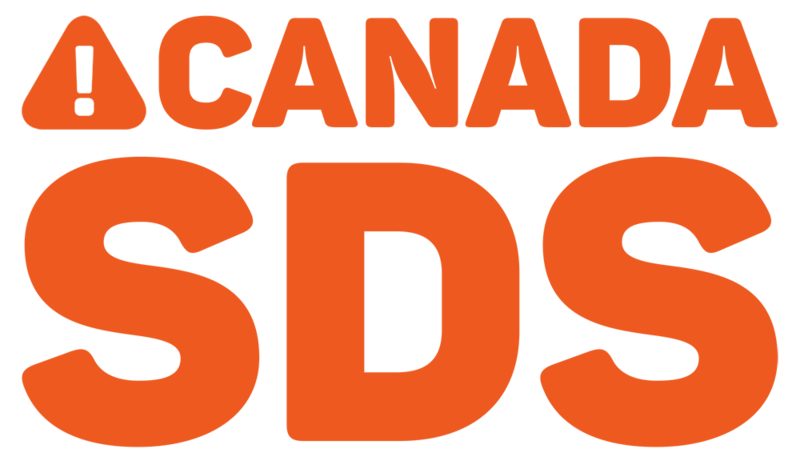 CanadaSDS was launched with the full intention of being a “disruptive” innovation and technology in the health & safety and (M)SDS marketplace. We have not only integrated new technology, but also new processes and features that sets CanadaSDS apart from the typical (M)SDS provider. CanadaSDS was the first system to be released with mobility as an integral part of the design and not an add-on afterthought. CanadaSDS was built from the ground up as a hosted SaaS modelled system and designed as a platform that allows for an unprecedented level of customization for each individual customer. Our focus was not only in designing and delivering a leading edge, industry specific (M)SDS management system, but to be able to deliver a “one stop shop” for client specific health and safety tools in the workplace. Our innovative approach to health & safety training, education, and accident prevention has enabled CanadaSDS to deliver industry specific (M)SDS solutions designed with specific client nomenclature and processes at the time of launch at a fraction of the cost of other providers. Our first industry focus has been helping overburdened Occupational Health & Safety Officials in school boards and academic institutions be proactive in addressing accident prevention by identifying chemical hazards, equipment, tools, and products in schools/campuses and automatically providing relevant safety related information to staff and students. The founders of the CanadaSDS product bring over 30-years of background and experience with hazardous chemicals handling and management planning, emergency response and contingency planning, business continuity planning, and custom software development providing services for numerous organizations including the National Audubon Society, the Canadian Environmental Protection Act (CEPA), Warner Bros, Rogers, the University of Waterloo, McMaster University, and the University of Michigan just to name a few.